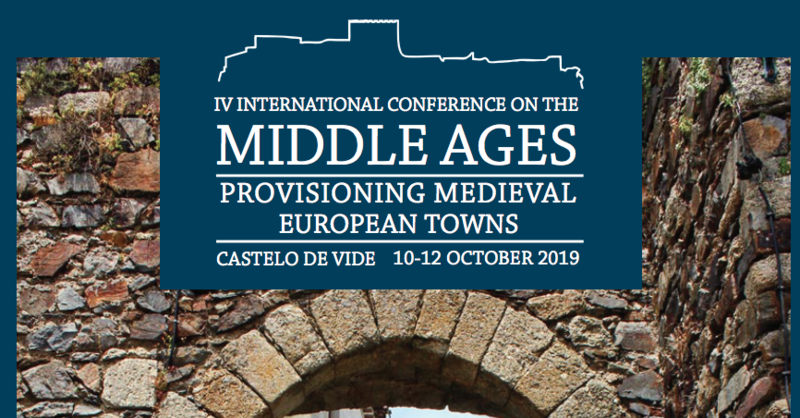 This year, from October 10th to the 12th, the Institute for Medieval Studies (IEM | NOVA-FCSH) and the Portuguese municipality of Castelo de Vide are organizing the IV International Conference on the Middle Ages, under the theme: Provisioning Medieval European Towns. Medieval towns were large human gatherings, the provision of which was diverse and complex, implying great challenges to their ruling powers. In fact, towns were simultaneously production centres, consumers and distributors, and its range depended on the town’s size, which left clear imprints in its space, both inside the walls and its surrounding areas. The importance of this theme justified its selection for the International Conference on the Middle Ages that will take place in Castelo de Vide in 2019. Taking Christian and Muslim medieval Europe as the stage for reflexion, we wish to analyse the different issues generated by urban provisioning, drawing on diverse information sources and looking for ways to bring together perspectives from History, Archaeology, Art History, Literature, Law, among others. 1. The intervention of powers over provisioning: strategies and tensions. 2. Evidences of provisioning in medieval urbanism: zonings and constructions. 4. The faces of provisioning: masters, sellers and merchants. 6. Production and storage structures. 11. Supervising supplies: monopolies, taxes and fees. 14. Speeches and representations about provisioning in the city: legislation, literature and iconography. 15. Provisioning Castelo de Vide during the Middle Ages. The meeting will have four plenary conferences carried out by researchers invited by the organization and thematic sessions. Each session will integrate three paper presentations and will be 60 minutes long. Researchers who interested in participating can submit organized sessions or individual papers which will be gathered by the organizing committee in coherent panels. It will also be possible to submit poster proposals within the conference’s thematic panels. The meeting will also have a cultural program with guided tours and the Conference Dinner. It will also be launching the book which resulted from de III International Conference on the Middle Ages (Castelo de Vide, October 2018). The conference languages are Portuguese, Spanish, French and English.